Imagination Technologies shares tank after Apple ends contract | What Hi-Fi? Apple says it will be developing its own computer chips; Imagination Technologies foresees intellectual property difficulties. Shares in UK chip manufacturer Imagination Technologies have fallen over 70% since Apple announced this morning it would not be renewing its current contract with the company. Imagination states Apple will cut ties with the company in "15 months to two years time, and as such will not be eligible for royalty payments under the current license and royalty agreement". The BBC states Apple paid about £60.7m in royalties to Imagination last year and is forecast to pay about £65m for the current financial year. Apple seems to be moving in the direction of developing its own computer chips, working on a bespoke graphics design so it can have greater control over its manufacturing line. However, according to Imagination, Apple has not yet "presented any evidence to substantiate its assertion that it will no longer require Imagination technology without violating Imagination's patents". As Apple is the company's largest customer, this may not bode well for Imagination. Shares fell 180p to 88p, and the company is now valued at under £250m compared to approximately £765m previously. 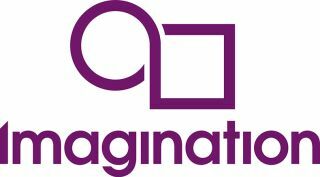 In March 2016 there were rumous Imagination Technologies was to be purchased by Apple. The company's share price leapt by 20 per cent at the prospect, before falling back following Apple's denial. Imagination Technologies also ran into difficulty in February 2016, selling off its Pure radio business in an effort to reduce operating costs. It is currently unclear how Imagination will proceed, but it says further announcements will be made in due course.